In addition to our Little Red School Bus program, full time childcare is available for those families who need it. We open our gate at 7:30am and stay open until 6:00pm. We provide children with healthy snacks twice daily, including fruit from Frog Hollow Farms. There is a Lunch Bunch program available for the nursery children, in which children bring their lunches from home. After a rest time in the early afternoon, the children are free to play, create with arts and crafts, and explore outdoor activities, all within a relaxed, mixed-age group setting. We are excited to provide children with an opportunity to spend some of their summer days in a fun, learning-rich environment consistent with their school year experiences. Our summer programs run in two week sessions in June and July. Join us as little as 3 hours a day for 2 weeks or as much as 9.5 hours a day for 8 weeks. Children love the mix of comforting familiarity with fun new summer adventures. 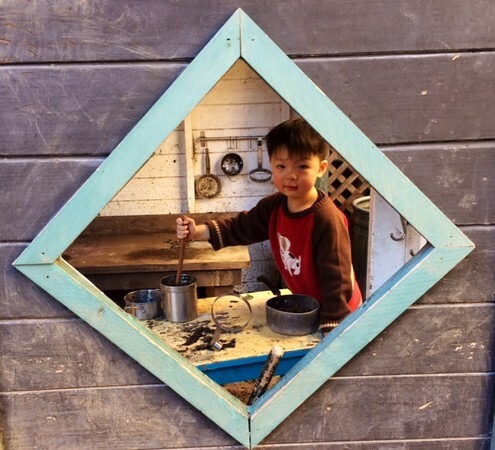 During the summer, we have our Nursery and Little Red School Bus programs in operation, as well as the Workshops program for older children, in which they get to immerse themselves in activities like capoeira, printmaking and woodworking with local experts. Currently enrolled families and families joining Parker School in the fall have first priority for summer school enrollment. If spots are available, we look to the families in our Wait Pool. Unfortunately, our summer programs are not open to families who are not in our Wait Pool.